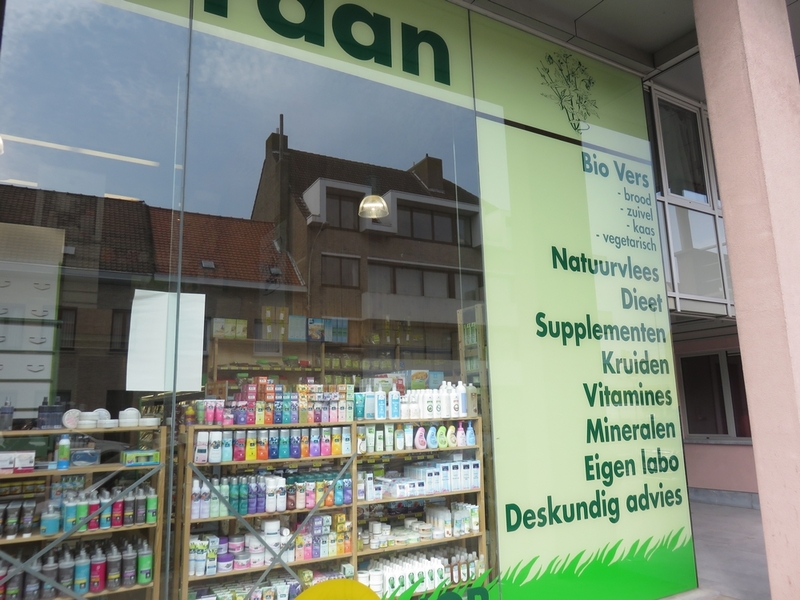 Shop review #16 – Mordan is an organic shop in Ostend (at the Belgian coast) and has two locations: the oldest shop is the city center (right next to the main shopping street) and has been there for decades (see shop review #33 here). The other one is at the edge of Ostend, on the Torhoutsesteenweg. The latter one is celebrating its 10th anniversary this year. As I grew up in Ostend, I know Mordan in the city center of Ostend quite well. 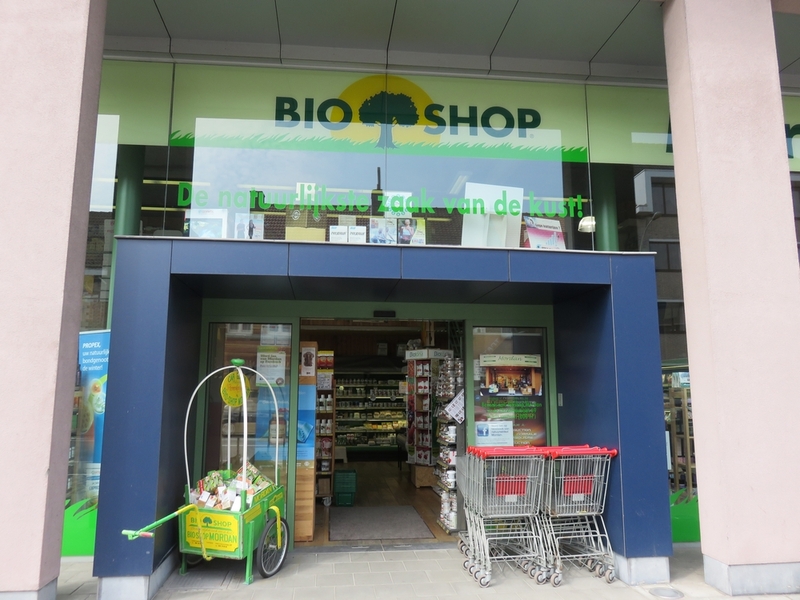 I was recently in Ostend and wanted to check out the other one on the Torhoutsteenweg. So this blog is about the Mordan shop at the edge of Ostend, although of course their offer is similar in both shops. There’s a large parking outside shop Mordan 2, which for some people will be a big advantage as to the shop in the city center (where there’s no parking, as it is also in a no-traffic zone). When I entered the shop, I immediately noticed the shop is really packed with rows and rows of stuff, with only narrow alleys in between. When there are several visitors inside the shop, it’s even difficult to turn or pass each other. I cannot imagine you could shop with a shopping cart (also because a large selection is stalled on an upper etage), so that might be a bit difficult if you are shopping a large amount of goods. 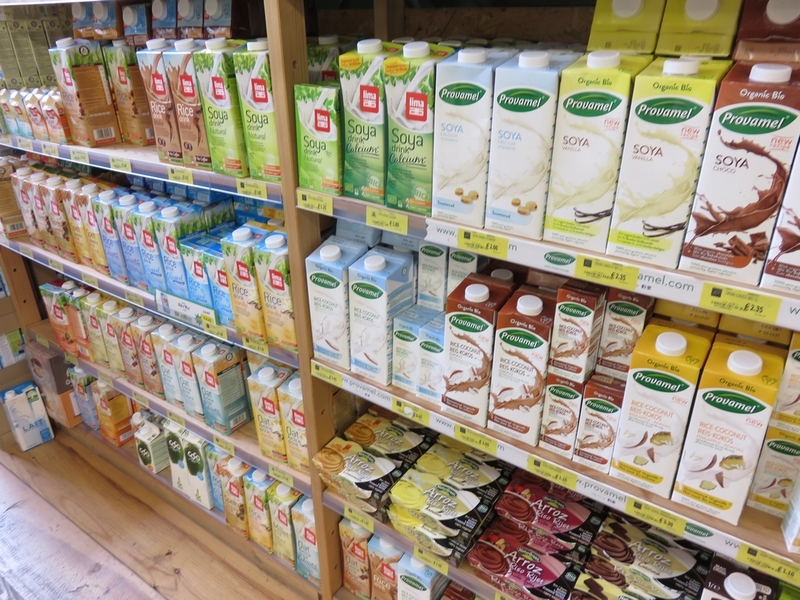 Mordan in Ostend is not a vegan shop, but sells many vegan products which you won’t find so easily in ‘regular’ shops. From vegan cheese to chia seeds from coconut oil to vegan chocolate, from vegan bread spreads to vegan desserts. 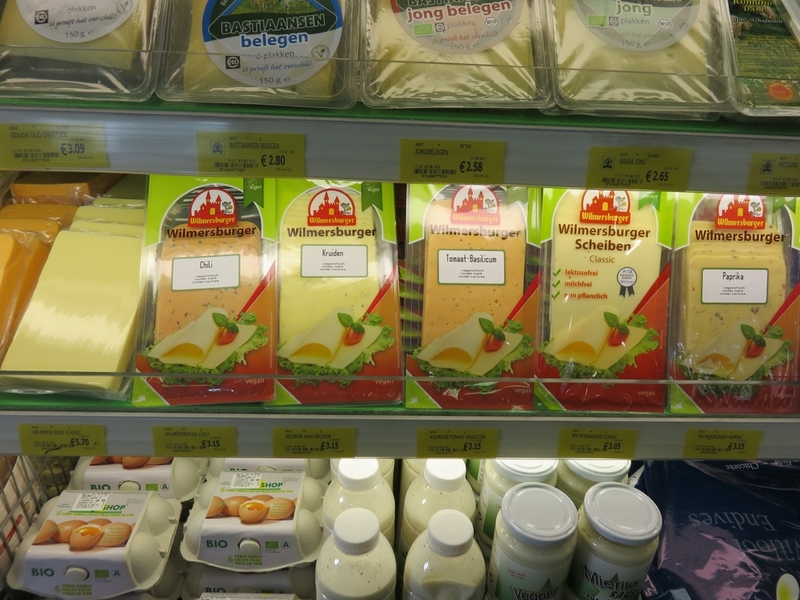 Here are some pics from Mordan 2 in Ostend to give you an idea (as it is not a vegan shop, please note that not all items on these photos are necessarily vegan). 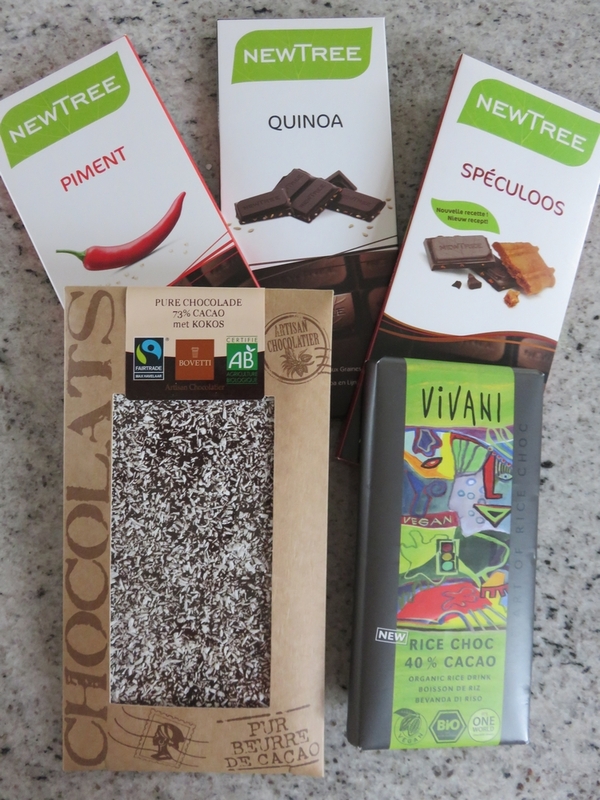 I bought a selection of vegan chocolate, and some standard groceries. 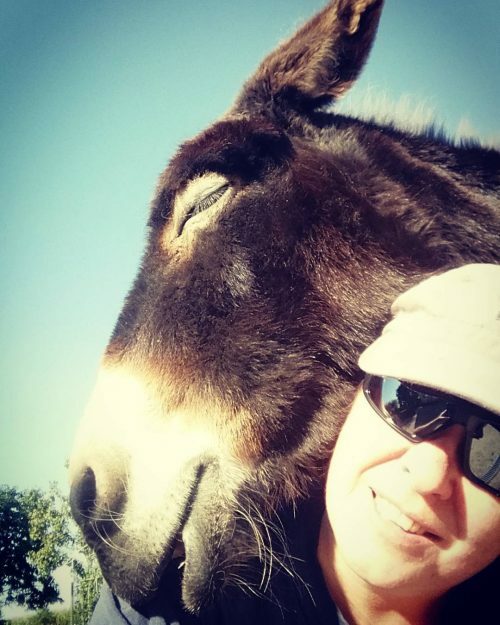 I love these posts! 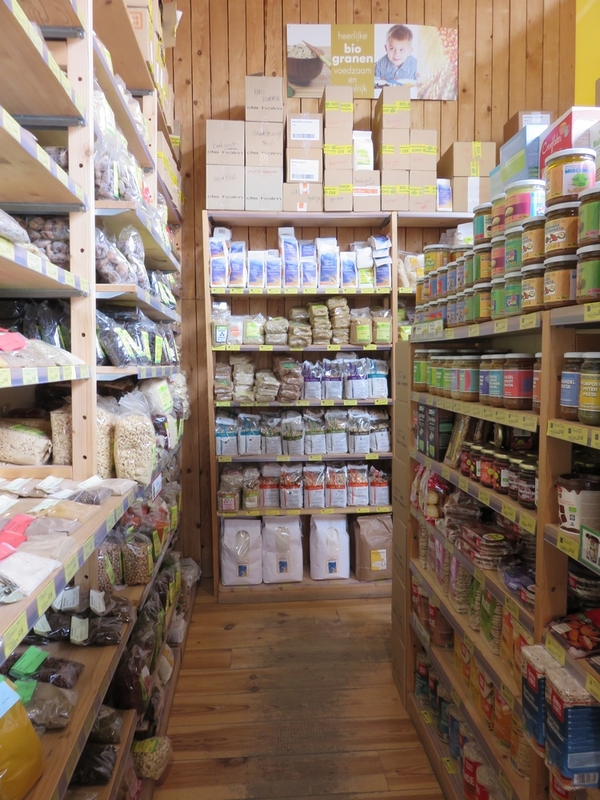 It’s so exciting seeing all the different products organic/health food shops have. Really fun looking at pictures like these, thank you! This week is the perfect time to pay a visit to one of the Mordan shops in Ostend. There are a lot of suppliers explaining their products and they give promotions and discounts. On their website there is also a coupon that gives you a 10% discount after this week, until 31 of august. I’ve never seen that before!